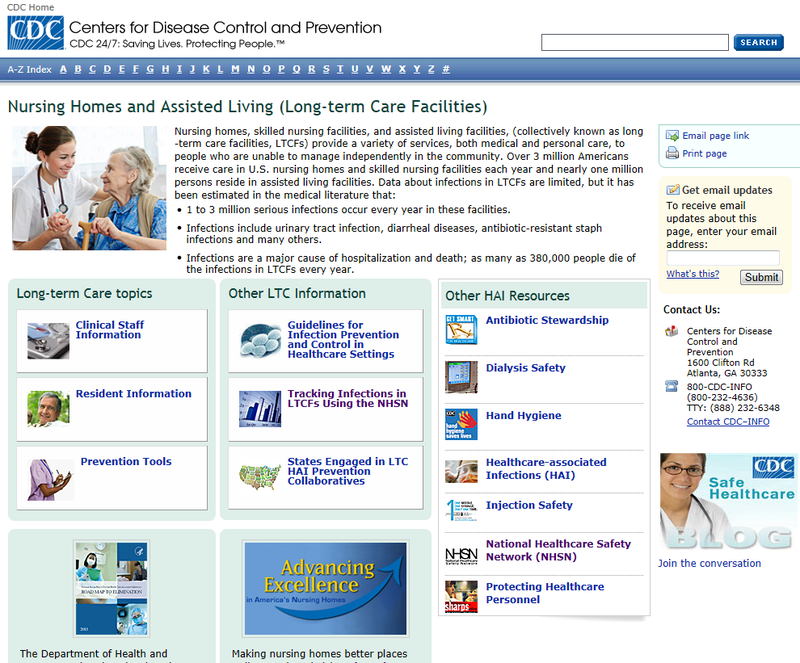 The Centers for Disease Control (CDC) released a new website last Thursday focused on providing infection prevention resources for long term care settings such as skilled nursing care centers and assisted living communities. This site organizes existing infection prevention guidance and resources into sections for clinical staff, infection prevention coordinators, and residents. Facilities can also directly access the new infection tracking system for long term care facilities in CDC’s National Healthcare Safety Network, and the innovative infection prevention tools and resources developed as part of the partnership between CDC and the Advancing Excellence in America’s Nursing Homes Campaign (AE). You can learn more about this new website through the CDC’s Safe Healthcare blog, as Nimalie Stone, MD, Medical Epidemiologist and long-term care expert at CDC, discusses this new website, including the resources developed under the partnership between CDC and Advancing Excellence to prevent C. difficile infections in nursing center residents.